Cash Stampede Slot – 243 Ways To Win Mobile Slot. 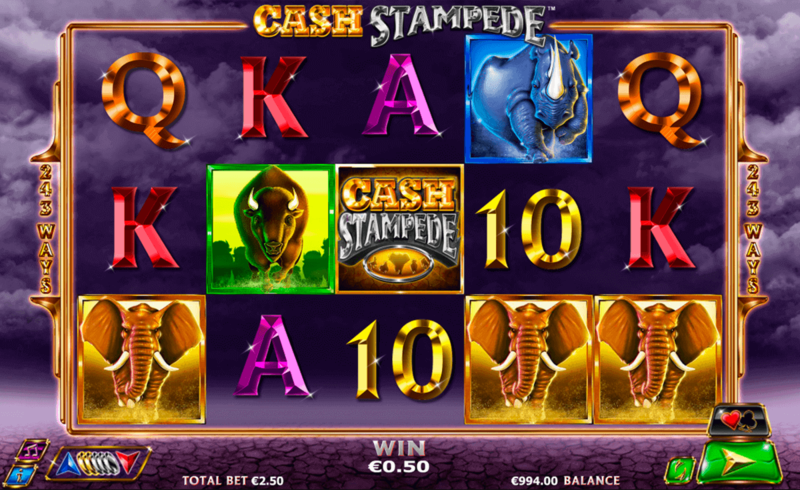 Cash Stampede slot is a rather unusual slot. It runs on the usual five reels but has the 243 ways to win system which takes it out of the penny slot category. All of the 243 ways to win are fixed in play, but will only cost you 25 coins to play all of them. The wins happen more often with a system like this, but they aren’t as big as wins in a pure payline slot. The coins themselves can value from between 0.01 and 2 currency units making this slot still a good one for players of all budgets. It doesn’t have a whole lot of special features however, which means that it may not appeal to experienced players. The best way to describe Cash Stampede slot would be a love child between a hard rock band such as Guns n Roses and a herd of panicked animals. Set in what one can only assume is a desert, the reels are full of an assortment of animals that are known to run blindly in panic. It’s a bit of an odd theme for a slot machine. This slot runs better on a small screen such as a smart phone, where you can’t look too closely at the charging animals. On the reels we find an interesting mix of large mammals and of course poker card symbols, because those are always right alongside stampeding animals. The card icons are all sharp and in a font which looks sneakily similar to that coined by AD DC. These are all rather simply worth 50 coins for five. The animals next on the list; horses, antelope, bison, rhino and elephants are also worth only 100 coins for five of a row. 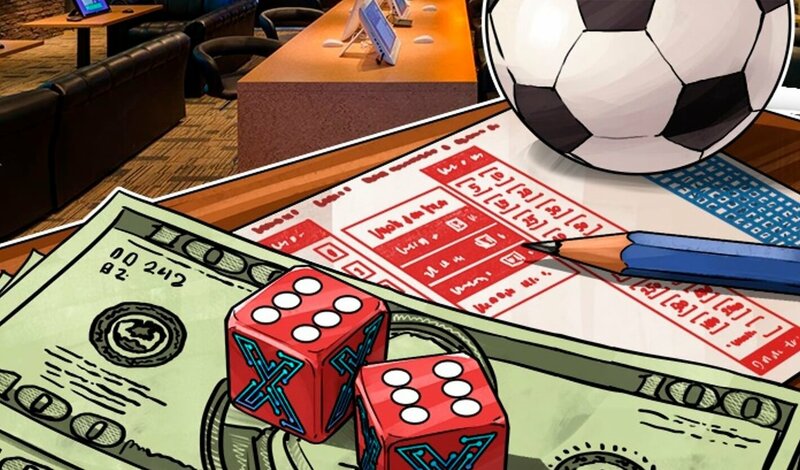 This makes the game very simple to play, which will appeal to beginner players, making this one of the best pokies online for players who are new to the game. That really is the best way to describe the graphics in Cash Stampede slot. They are interesting. Done in almost cartoon style but not quite, they are definitely on the drawing side of life, but are not humorous at all or very detailed in the majority. Cash Stampede slot can’t decide if it is a 3D slot or a cartoon style slot. It is a very purple slot though, with loads of ominous purple clouds behind the reels. The reels are plain purple too, but at least the symbols have different colours to them. The soundtrack is a gritty, hard rock style riff with slightly alarming sound effects. Overall the slot has a very odd feel to it. The symbols get zapped by lightning when they form part of a win; presumably this is what is causing the stampede in the first place. The wild in the game is the games logo, and can replace any symbol in the game except for the scatter which grants free spins. Only eight free spins though and no multipliers. The respins feature comes into play in conjunction with the wild. Any time that a wild creates a combination containing a stampeding animal the wild will stay on screen as a sticky and grant you a free respin. Anytime more wilds or animals show up, they will also become sticky, and grant you more free respins. This feature has the potential to fill your screen with wilds and animals.